Power socket is a wireless remote controlled socket which gives you the power to turn ON and OFF appliances using your mobile phone. Paired with the wireless 3G HD GSM monitoring camera, it allows you to remotely control at anytime and anywhere all electrical appliances from your mobile phone. You simply place the Power Socket between the power plug and the appliance (heater, air conditioning , Jacuzzi , lights , computer , server ... ) you want to control from your mobile and turn ON or OFF by sending text message SMS. You can also manually activate your appliance by pressing the "M" button on the Power Socket. This smart remote Power Socket can be set working under a schedule to control the electrical appliances power on/off automatically at everyday or any weekdays. 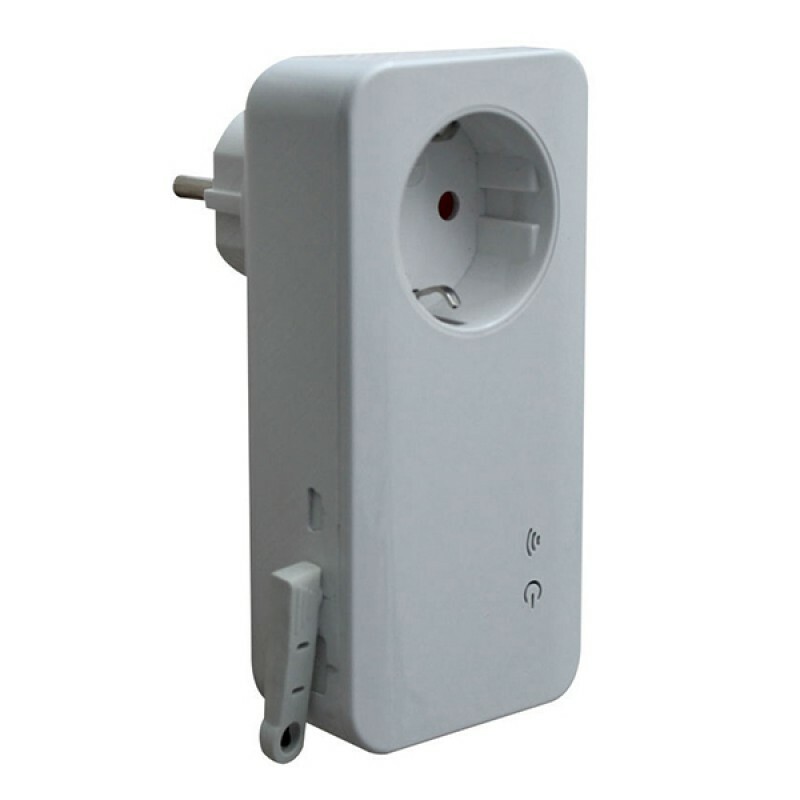 With extended-connected temperature sensor, Power Socket can turn ON or OFF the power supply output according to the environment temperature. It's available for power control of the heating or refrigeration plant, to keep the environmental temperature within presetting range or at a fixed temperature value. You can remotely control it and regulate a house or a cottage’s temperature (heating or cooling). Furthermore, the wireless Power Socket can send out SMS alarm message when it detects fast-changing or when it reaches of pre-set value of surroundings temperature. Enjoy a warm cottage when you go there. Save energy when you are away. - Remotely turn ON/OFF home’s lights - Remotely control (ON/OFF) electrical equipment (Jacuzzi , Sauna , irrigation system, reboot a computer, a server , a router....) - Remotely power ON/OFF heating system, air conditioning, refrigeration plant - Auto Regulate the temperature of a room, house, cottage...- Useful in a number of situations whereby it is important to monitor that power is being supplied to an appliance. Remotely operate ON/OFF by SMS commands. Auto operates by preset schedule. Send environmental temperature SMS to mobile phone.